Arts are for everyone, and everyone learns through the arts! Arts are for everyone ...and everyone learns through the arts! 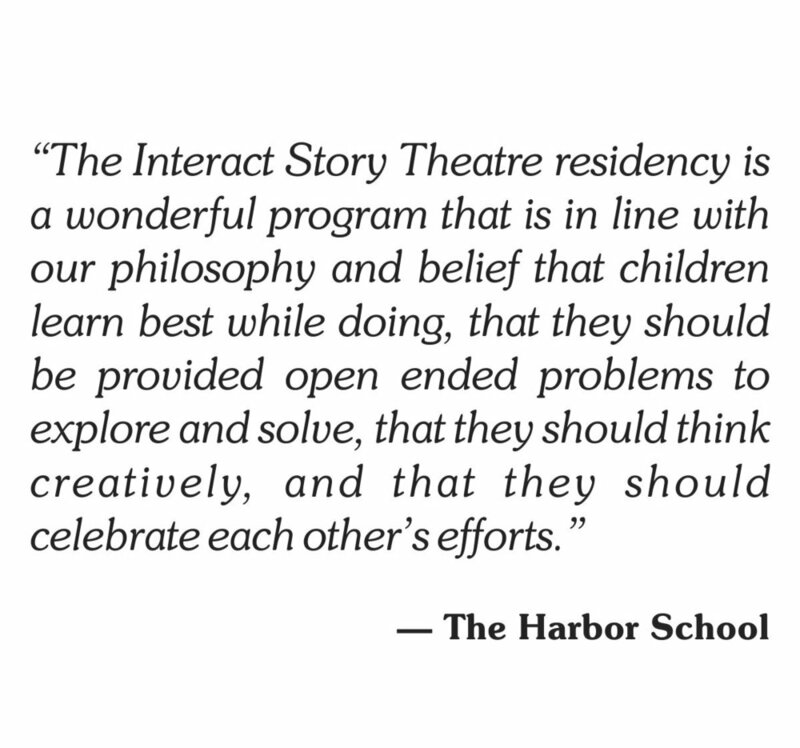 InterAct Story Theatre is a multidisciplinary arts-in-education organization and touring theatre for young audiences. Since our founding in 1981, we have been dedicated to providing quality performances, arts-infused workshops and artist-in-residency programs for students, teachers and families throughout our region and across the country. As experts in arts education and arts integration, InterAct is committed to producing arts programs with artistic integrity and direct relevance to the educational objectives of the schools and community organizations we serve. Our merry band of performers and teaching artists weave their artistry in theatre and drama, music, dance, creative opera and filmmaking with content curricula for students and teachers of all ages. 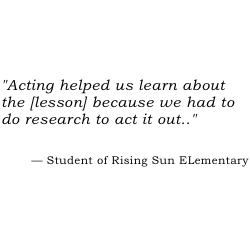 Our mission is to bring arts-based learning experiences to everyone, especially to those communities that are chronically underserved due to economic, social, and geographic constraints. We believe that every kid, every grown-up, everywhere deserves great theatre, whether or not you can get to a theatre building. We believe that everyone, everywhere can learn and grow through artistic creation and exploration. And we believe that the arts help foster communication and understanding in our communities, because the arts help us express our ideas, our hopes, our emotions and our experiences when words alone are not enough. Arts are for everyone, and everyone learns through the arts! As a proud member of the Alliance for Theatre & Education, InterAct Story Theatre embraces diversity and encourages inclusion of all races, social classes, ages, genders, religions, sexual orientations, national origins, and abilities. Thank you! We will respond within 24 hours. Or Call Us at 301-879-9305! Want to see InterAct in Action? Trying to reach Wheaton families? Sponsor the Wheaton Family Theatre Series. Contact us for details. "Arts are for everyone, and everyone learns through the arts"
InterAct Story Theatre Education Association is a 501(c)3 organization. All donations are tax-deductible.